A seizure in your body is a temporary and impulsive amplification of the electrical disturbances and signals that end in irregular behavior such as spasms in the muscles, convulsions and tremors. People also experience intense emotions and may lose their consciousness during a seizure. This is a therapeutic condition which leads to disorder in your brain. It happens when a bunch of neurons in the brain’s electrical system gives rise to significantly high numbers of asynchronous and impulsive electrical discharges. The external conditions that are responsible for such disorder are your lifestyle, levels of stress, severe bouts of fever, infection in the body’s immune system, low blood sugar levels and withdrawal phases from dangerous drugs and alcohol. In some cases, genetic factors have an impact on people when they suffer from seizures and epilepsy. Pathologically, the changes that take place in the oxygen and carbon dioxide cerebral levels are the crucial factors that lead to seizures naturally. Hypocapnia is a condition which is described as carbon dioxide deficiency in the blood that leads to your arteries. This is happening more frequently with the lifestyles people are leading today. This condition of arterial hypocapnia is the major contributor to a seizure. Other factors that lead to this condition are a weak immune system in the body that seriously affect your ability to overcome high levels of stress along with an increase in muscular tension. If you are suffering from diabetes, an impaired control of blood glucose could also lead to arterial hypocapnia. When the nerve cells get increasingly excited, they tend to reduce the capacity to withstand seizures. 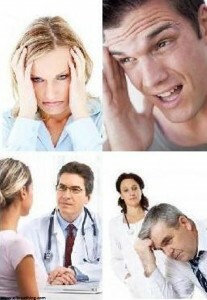 When you breathe excessively through the mouth, you lose high amounts of carbon dioxide and consequently, you will find it difficult to absorb the nitric oxide which is built up in your sinuses; similarly, when you breathe heavily through the chest as against the normal diaphragmatic breathing, you will have an impaired situation of blood gases in the brain. It will reduce both the oxygen and the carbon dioxide levels, affecting the flow of the required supply of blood to the brain. This will eventually lead to seizures. Seizures will vary from one person to another. Few people may have a little tremor in their hands and they may not faint or lose consciousness with the occurrence of a seizure while others may have their bodies shaking violently and they may lose consciousness. Some people have symptoms before they get the spell; they may lose touch temporarily with the environment and their surroundings and they may suddenly start staring into space. They will not respond normally during the occurrence of a seizure and it is not advisable to disturb them physically when they ae experiencing a fit. This will pass through in a few minutes and when the affected people come out of the seizure spell, they may not even remember what happened to them. 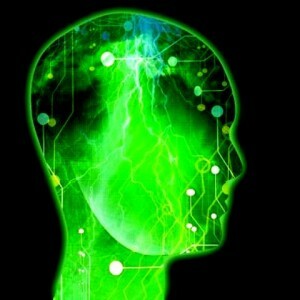 Epileptic seizures have been causing far reaching damage to the health of people in the world these days. A study has been done recently revealing that almost one per cent of the entire population of the Western World is affected by the condition of epileptic seizures. This condition, though, is not a life threatening one. When a seizure prolongs for over five minutes, it can strain a person and can result in death on account of epilepsy. The number of deaths that occur every year in the world due to epileptic seizures is in excess of one hundred thousand in the western world itself. Prolonged seizures can also cause brain damage to the people who survive them. Over eight decades ago, an initial medical study was done to understand the impact of air that is enriched with carbon dioxide levels. It was published in the Journal of Clinical Investigations issued by Lennox in 1929. The study was endorsed few decades later in 1956 by the Science Magazine article titled, `Inhibition of audio-genic seizures by carbon dioxide’. Both these studies emphasized the importance of inhaling air enriched by carbon dioxide levels to reduce the severity and also the duration of a seizure and its effect on muscle and nerve cells. One of the most recent studies done on this subject was eight years ago when few Finnish scientists did an experiment on pups of rats and confirmed that suppression of alkalosis with a ratio of five per cent carbon dioxide which was ambient helped in eliminating the seizures totally within a matter of minutes. An American Journal of Medicine had published over three decades ago that people could have a relapse of seizures after a long break, too. There was a case report which highlighted about a man who was sixty six years of age and who had a relapse of fits after a span of almost two decades. This patient had a continuous and long reduction in the number of seizures he suffered with after being exposed to behavioural and educational therapy that was geared to help get rid of chronic hyperventilation. It was reported in the Journal published by Magarian and Olney in 1984. Doctors attached to Harvard Medical School at the Boston Neurobehavioral Institute used the technique of eliminating hyperventilation in the case of two children who had extreme developmental problems. Their parents and their teachers were instructed to change the breathing styles of children and this helped in controlling their seizure spells. This was reported in a Journal of Medicine published by Bruno-Golden & Holmes in 1993. Breathing techniques and elimination of deliberate hyperventilation can reduce the effect of seizures and epilepsy in general. 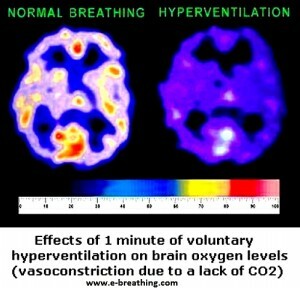 Breathing normalization (normal breathing parameters all the time or 24/7) solves all problems with seizures naturally. Virtually all types of seizures disappear when a person achieves 30 s for the body oxygen test (the Control Pause) in the morning (right after sleep at night) and during the day. This ultimate goal and criterion work equally well for adults and children. Hyperventilation and arterial hypocapnia are principally responsible for creating low carbon dioxide levels in the body, resulting in seizures. A deficiency in positive electrical body charges also helps in causing epileptic seizures. There are three ways by which you can find a natural remedy for seizures. This is done through enrichment of carbon dioxide levels in the air around you and by eliminating deliberate hyperventilation through proper breathing techniques. Seizures are also reduced by overcoming the deficiency in positive electrical charges in your body (grounding or Earthing to normalize the body electrical charge to Earth’s charge of -0.4 volts).